Hey, hey, hey! Writing is hard. Publishing is harder. Save time with the endless scrolling & take a look at the resources that I personally use for my writing, reading and publishing. This is a list of products that I actually use. In some cases (like my email list management tool), I have tried out multiple products before landing on the perfect fit for me. Make sure to keep checking back here! The publishing landscape is always shifting and changing, and I am always looking for ways to better my writing biz. The good news for us writers is that the writing part of our job does not require much! Pen and paper, if you like to write on paper like I do. Or your notes app. Task List / Brain Dump: This is where the one-off ideas go, so I don’t lose them! I can then refile them into their appropriate notebook or notes page later. Book Ideas: This is the starting place for future project ideas. I brainstorm series ideas and book titles in here. [Title of Book] Draft: Before Evernote, I would type into my notes app if I did not have a notebook nearby. Now I can keep everything together! Even better news? Evernote Basic is free! With my referral code, you can also get a free month of the premium plan for free. Once again, I was super late to the game with Grammarly. Of course, I have seen their advertisements and heard about the company from other writers, but for whatever reason, I thought I did not need it. Then I came across a post from a professional editor [wish I had her name!] who mentioned that she recommended Grammarly as a self-editing tool for indie authors. Lightbulb! When I checked out the website, I realized that Grammarly, like Evernote, offers a free platform as well as a premium platform. Even better, there is a plug-in for your Internet browser. So you could type your draft in Evernote, then check for grammar errors with your Grammarly plug-in. Don’t wait on this one. It will save you so much time & get your manuscript super polished. Now that your manuscript is nice and shiny, it is time to get that baby out to the people! If you follow this blog, you know that I prefer self-publishing. You can find my self-publishing ultimate resource guide over here. You can find the highlights below. How does it work? 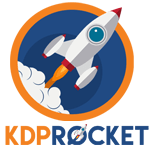 KDP Rocket helps you write books that readers actually want to read. Crazy concept, right? This tool allows you to search for keywords that users are typing into Amazon and to find the bestselling categories for your book. You can also search for AMS keywords to create effective and amazing ads for book promotion. Joanna Penn’s Courses. I have my eye on the “Content Marketing for Fiction.” Joanna has been a favorite of mine for years, and I aways love her content. See her courses here. Derek Murphy’s Courses. Anything by Derek Murphy is worthwhile. I have used his DIY book covers and frequently read his blog. If you check out his courses, you’ll notice that his “How to Self-Edit Your Book” course is free! See his courses here. If you want to really set yourself apart, you can also use Teachable to become a course creator yourself! Now you have your book & published it, and it is time to get readers! As the Internet evolves and changes, it gets harder and harder to find organic reach for your books. I am always seeking new and better ways to market my books, and below are reliable tools that help me keep up best practices. To date, I have had three different providers for my email service. The first provider was inexpensive, but lacked the ability to segment my list into my readers & writers. The second provider had great functions, but it was expensive, and I was not using it to the fullest potential. GetResponse is the best of both worlds. If you think you don’t need an email provider, let me assure you that you do. You need a way to reach your readers in a one-on-one way, and this is the key. GetResponse is easy to use and has a great drag-and-drop function for you to set up automation email sequences. Skip the headache of shopping for email providers & check out GetResponse for free, for 30 days! Chandler Bolt, who runs the Self-Publishing School, runs a fantastic free webinar on how to find success as a self-published writer. I would not say that this is a guarantee to success, but I found it to be a really helpful tool to writing faster & publishing better. 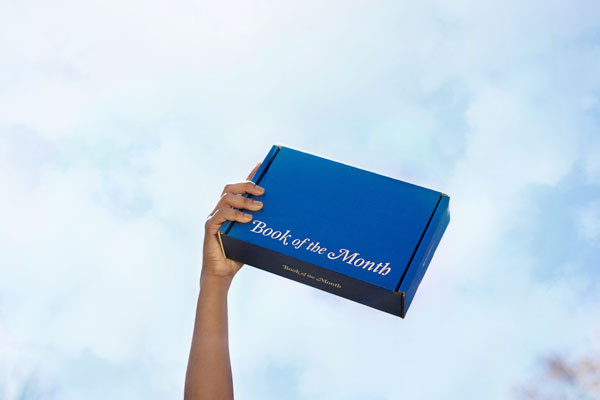 And just for fun, because the best writers are readers, the Book of the Month club! I love this community. For a monthly subscription fee, you get a beautiful, brand-new hardcover book. And if you don’t love that month’s book options, you can skip. If you love hardcovers, but do not love the price, this is a great option for you.